Hamburg Germany-based electronic music project VNV Nation (“Victory Not Vengeance”) fronted by Dublin-born singer-songwriter Ronan Harris continued their 2018 tour with a performance to a packed and enthusiastic audience at NYC’s Irving Plaza in support of their latest album, “Noire.” They are famous for idealistic themes bordering on the sentimental and for passionate anthems. 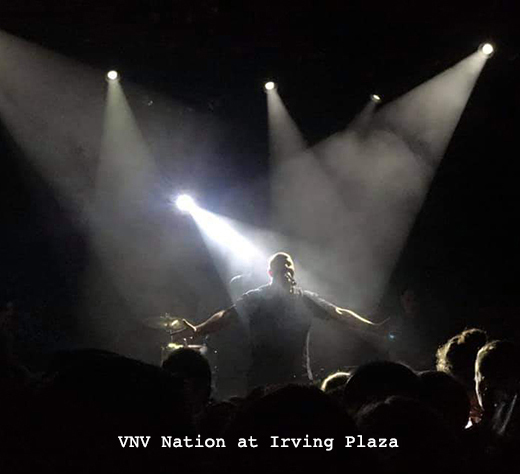 VNV opened with the ominous-sounding “A Million” from their new album followed by “Retaliate” from their “Transnational” (2013) album, then went back to the new album with “Armour” which features soaring, heartening melody and lyrics. Ronan was loquacious as always, expressing his love of New York and imploring the crowd to put their phones down and to sing along. An official afterparty was held at the Pyramid club at which Ronan and the opening bands socialized with the fans. And Harriman’s club night Synthicide hosted a performance by Brooklyn-based electro-darkwave band Light Asylum on Thursday night, Nov 29. Normally residing monthly at the Bossa Nova Civic Club, Synthicide was held this time in the underground space of Brooklyn Bazaar to a packed, sold-out audience. The focus of Synthicide is on electronic music with frequent live acts, as on this occasion. The opening group was Ghost Cop, a spacey duo consisting of Lucy Swope and Sean Dack. Early in their performance they were joined by some technical and musical assistants who worked multiple sound boards and keyboards producing compellingly rhythmic, sometimes brutal noise, with some pre-recorded samples as well as, pleasurable, echoic, sung vocals. Next up, androgynous synth wave duo Korine, from Philadelphia, now frequent flyers in the NY/NJ metropolitan area and coming off their well-received shows at Stimulate the week before as well as the Human Music Synthwave Festival in May of this year, put on an excellent example of that style. This was my fourth time seeing Korine and I had an impression that the they came across like New Order might have sounded if Ian Curtis had survived to sing for them. Between the acts, hostess Andi Harriman manned the turntables with powerful, danceable tracks, but the packed crowd had little space to move other than to sway side-to-side or bob up and down. precisely because no one was giving up their place for viewing the upcoming, headline act, Light Asylum. 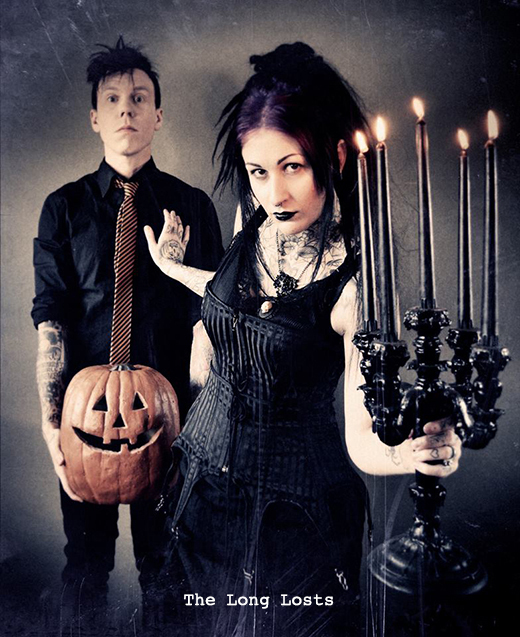 Led by female vocalist Shannon Funchness and accompanied by pre-recorded electro-industrial tracks, Light Asylum burst right on with the first five tracks from their eponymous album. “Hour Fortress” was followed by he funky “Pope Will Roll,” then “IPC.” The next song, “Heart of Dust” has a discordant and erratic vocal quality with a harshness reminiscent of Nitzer Ebb. So did the next track, “At Will,” also from the album. 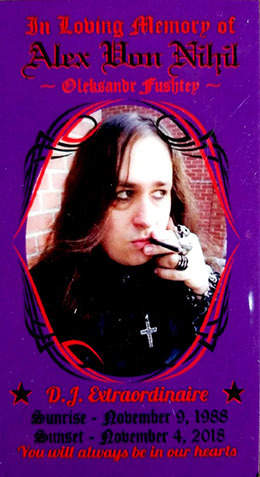 A couple more tracks from that album were performed, and attention was turned to the “In Tension” EP, concluding with the overwhelming favorite “Dark Allies.” This masterpiece features bizarre minimalism combined with perverse gospel vocals that highlight Shannon’s frenzied, baritonal voice. The crowd of twenty-something Brooklyn goths and hipsters went wild. The Red Party hosted the dark rock duo the Long Losts who performed selections from their album “Scary Songs to Play in the Dark.” Guest DJ Valefar Malefic joined regulars Jarek Zelazny and Sean Templar playing goth, death rock, post punk and cold wave. The mid-November weekend was eventful at the premier alternative club in the metropolitan area, QXT’s in Newark. Friday Nov 16 saw an early evening presentation of Diva Burlesque, produced by Lady J in an effort at reproducing the atmosphere of early 20th Century strip tease in the tradition of Newark’s Empire live vaudeville theater. 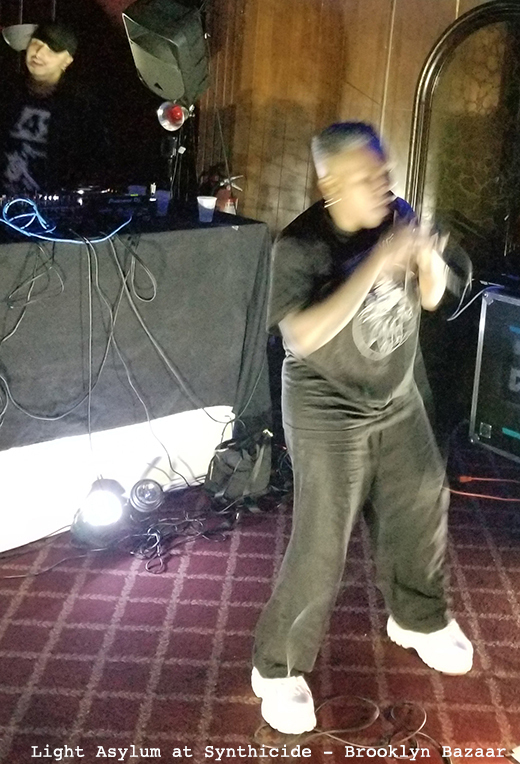 At 10 pm, the dance area took off with a night dubbed “Cure/Mode” with emphasis on the repertoire of those two iconic post-punk bands and other 80s standards in the deejays’ sets. In Area 51 the theme was “Shelter” where one could hear German Industrial Techno, Danish Electro, French Industrial and more new contemporary artists. 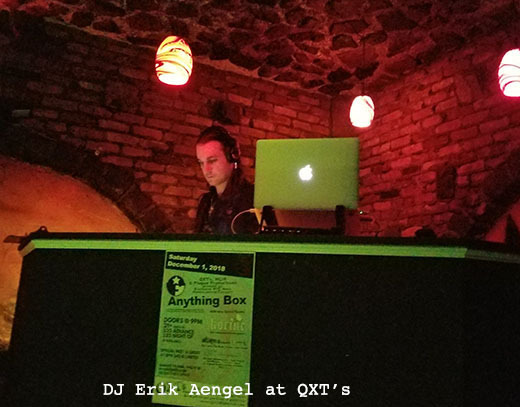 Nov 17, 2018 saw Green Jello headline a list of live bands which included the Gothsicles, Singaya and the Broken Co., following which noted DJ Aengel joined forces with QXT’s regular DJ Mindsolvent for an edition of Blasphemy, the original goth and dark dance party on the main floor with the likes of Peter Murphy’s dance-conducive “Indigo Eyes.” Downstairs in Area 51 there was a variety of music with the likes of And One and Project Pitchfork, while DJ Victrola played 80s synth pop and Wave in the Crypt. On Sunday Nov 18 Sunday Brave rattled the rafters in support of the release of their EP “Taking Over,” alongside noted soloist Constantine Maroulis and two of the hottest local bands, The Randy Haze Trio and Our Fears. Dec 1, 2018 Q’s also hosted a performance by 80s superstars Anything Box to a packed audience with opening band, Philadelphia duo, Korine. Producer and DJ Xris SMack presented an exceptional edition of the recurring dance and entertainment party Stimulate on Nov 23, Black Friday at the East Village nightclub, Drom., Featured were a synth wave-style original band and two renowned tribute bands as well as hours of ambient, alternative dance tracks curated by well-known metropolitan area deejays including DJs Paradox, Phoenixxx, Cyclonus and Xris himself. The night was dedicated to facing industrial giant, NIN against PostPunk icons, Joy Division cover bands. The crowd’s choice was to be determined at the end of the show. Over the PA and between band performances we heard “Better Be There” by FunkyGreen Dogs and “Cold” by the Cure. Hot, live go-go action provided visuals through the night, spot-lighting at least three sexily-clad ladies who took turns on stage as the crowd of attendees danced to the likes of Marilyn Manson and Icon of Coil. Next up, Nine Inch Nails tribute band SIN opened their set with “Pinion” in a 30-second intro, then quickly launched into “Terrible Lie” off “Pretty Hate Machine.” Frontman Byron did justice to the frantic style of early NIN with an uncontrolled performance that saw him strip to the waist and wrap his torso in strands of black tape as he sang and gyrated convulsively on stage. “March of the Pigs,” “The Hand That Feeds” and five more hits followed, for a total of eight songs. Included of course was the once-shockingly explicit “Closer” and concluding the act was “Head Like a Hole,” the milestone entry that brought industrial into the alternative mainstream back in 1989. Finally, renowned Joy Division tribute band Disorder started their set with archival radio announcements of JD’s historic recognition in the U.K media, then fired up their performance with “No Love Lost” off their “Substance” collection. They moved steadily through eleven songs from the band’s body of work with such beloved selections as “Dead Souls,” “Ceremony” and the mega-hit “Love Will Tear Us Apart.” Even “Blue Monday” by the successor band, New Order, got featured toward the end of the set. Approval from the audience was overwhelming. The Center for Italian Modern Art has been exhibiting and educating those interested in the peculiar, seminal school of Metaphysical Art for the past year and a half. The standard-bearer of that school is of course Giorgio de Chirico (1888 – 1978), whose works were on display early last year, followed by exhibitions of, first, Alberto Savinio, and – now, currently – collected works of Morandi, Sironi and Carra, all recognized exemplars of the style. 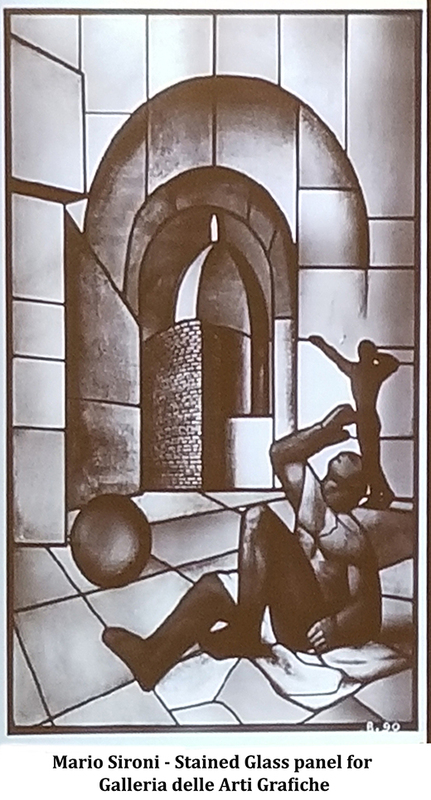 Having always been fascinated by the concept, I attended a lecture and slide show on a Wednesday evening at the Center lower Manhattan, hoping to get a grasp on what this artistic genre is really about and how to distinguish it from Surrealism, to which it is ancestral. Rare and stunning works by the three above-mentioned artists are on display as well as one iconic piece by de Chirico which helps orient the viewer to the precise core of the artistic movement that arose in and around Italy in the very early 20th century. With the decline of religion at the end of the 19th century, the Western world – as often the case, led by Italy – was seeking a deeper, mystical meaning in the everyday world, something spiritual in the forms and objects of the real world. Thus, an abandoned piazza, a lonesome statue, an anthropomorphic mannequin, stark earthenware vessels with cast shadows might all evoke an otherworldly feeling that religious experience might have provided in the past or simply as a rebellion against Renaissance high art. Another source of such rebellion was found in ancient and medieval symbols, which got reworked by Metaphysical artists into decorative architecture and interiors for the same effect. This erudite presentation and repeatedly viewing these artworks provided me with immense help in understanding an art movement with dark undertones that was, for me, previously a mystery. By now everyone has read that Stan Lee died Nov 12 of this year at the venerable age of 95. Born Stanley Martin Lieber, he was the editor-in-chief of Marvel Comics, its publisher and chairman. Collaborating with Steve Ditko, he helped create the immensely popular Spiderman; and with the late Jack Kirby, with whom he shared the prestigious “Disney Legends” award, Lee helped create a whole stable of comic book legends including Fantastic Four, X-Men, and the Hulk. 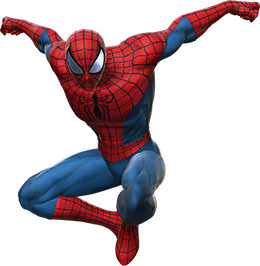 Noted for having brought the genre of comic book art to a more complex level that featured flawed heros, burdened with ambivalence and existential issues, Stan Lee is thought to have elevated the category to the level of 20th and 21st Century literature. The No Return Post Punk Society, a twice monthly dance club night will now be without one of its resident deejays and co-founders, Alex von Nihil who died suddenly and unexpectedly a few days short of his 30th birthday. Partner and close collaborator of founder Ryan Walker, Alex was known and beloved of the NYC underground post punk scene for his sense of humor, warmth, openness and hospitality. Alex welcomed all to the events he hosted, from die-hard Goths to casual clubbers, tourists, street people and even yuppies who often made their way down the steep staircase to the Pyramid’s basement level on the first and third Friday of the month where he served up the sounds of classic goth, death rock and synth. In 2012 Alex won the Eklectik Poetry Contest with his poem “We the Villains,” reproduced here. He was remembered at various commemorative events held around town and in a eulogy written by Luna Pallida.